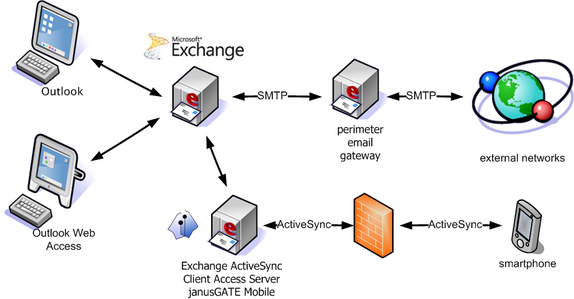 janusGATE Mobile is a message filter installed on Exchange Server that prevents sensitive emails from reaching mobile devices and alerts users to pick them up from their desktops. With more devices in use, and plenty being lost with ever more data and applications on them, sensitive data on mobile devices is a major exposure for most enterprises. Instead of preventing all email access by mobile or limiting email access to a few, or going to the expense of email containers for everyone, there is a simpler way: make the problem much smaller. You could just focus on the 5-15% of messages that are sensitive and make the problem manageable and the solution cost-effective. Peace of mind –enforce your policies for email to mobile devices, and enhance your compliance.